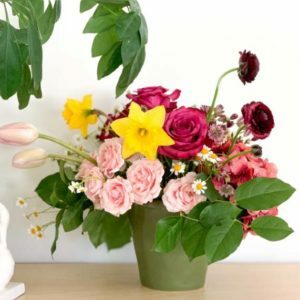 Spoil your mama with this one-of-a-kind Mother’s Day arrangement. Our small Mother’s Day arrangement includes blueberry roses, vintage hydrangea, and springtime favorites including tulips and ranunculus. Each arrangement comes with a small note card with your message hand written and your loved one’s name in custom calligraphy on the envelope. Please note the recipients name and your message during checkout. Spoil your mama with this one-of-a-kind Mother’s Day arrangement. Our small Mother’s Day arrangement includes blueberry roses, vintage hydrangea, and springtime favorites including tulips and ranunculus. 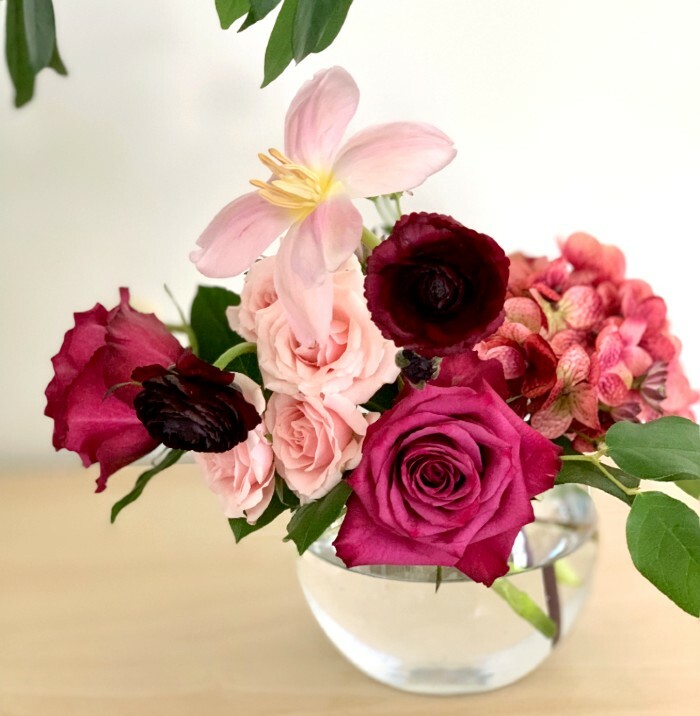 All arrangements come in a clear glass vase.